Joy Division fans, it's okay to like Editors. I have had to revise my narrow-minded opinion on Editors recently. I had always written them off as a Joy Division wanna-be band. I always thought that if you wanted to listen to a band that sounded like Joy Division, why not just listen to Joy Division? So I started listening to Editors a little more closely. Their new cd The Back Room is actually very good. Of course the influence is undeniable, but they are in fact, their own band with their own sound. And in a poll conducted on this site (accurate 19 times out of 10, 79% of the time), the support for bands like Editors to have the freedom to embrace their obvious influences was unanimous. Will put it quite succinctly when he stated "I think it is ok to like music that draws heavily from another, but it is always important to understand the history. A well-crafted song is a well-crafted song in my opinion." And that I think is the key factor - the ability to understand the history. Music builds on what has gone before; sometimes that means carrying a song through the generations, sometimes it means staging a revolt against your parents' music, sometimes it means morphing a sound into something new. Still though, there's nothing more frustrating than a whole generation of people who assume that Van Halen wrote Just a Gigolo and have never heard of Louis Prima. That said, I now accept that Editors are musicians in their own right; they are crafting their own sound even though they are heavily influenced by Joy Division (but then, aren't we all?). The jury's still out on Interpol, however. Transmission by Joy Division on top, Blood by Editors on the bottom. It's probably more embarrassing that I DO know this. "Just a Gigolo" was performed by David Lee Roth when he went solo- not with Van Halen. And I did know that about Prima, but did you know the Village People also covered it? David Lee Roth! That's the dude's name! I couldn't think of his name, other than "that guy I can't stand", so I just went with Van Halen. Thanks for that, John. You are a fountain of wisdom. I did not know that Village People covered it - how fitting. Louis Prima was great, wasn't he? I can definitely see a similarity, and the vocals have the same feel. Joy Division have a definite influence, but the Editors fortunatly have a twist on that influence. They don't sound exactly the same. As long as they acknowledge the influence, they are credible in my books. Great analysis, Hilary. When I first started hearing Editors, I had issues with the vocal similarities, but I've gotten past that. They are not Ian Curtis, but I don't think they are trying to be. You're a modern kind of guy, I see, Kelly. Blood (by Editors) came out this year, while Transmission (Joy Division) is over 25 years old. I like both. Speaking of favourites, I'm a sucker for Transmission. I still like Blood, but I'm keepin' it old school. p.s Your John Spittal interview link is on blog tracker! Wait - Van Halen didn't write "Just a Gigolo" - my whole life is a lie! That's it, I'm throwing my David Lee Roth boxset away and not buying his new album. Well put ... a good discussion. I actually think I take interpol over editors - but that's just me. Neither band (nor any other, really) will top "Love Will Tear Us Apart." Is there supposed to be a music link but I don't see it? Now I see it. Now I see buttons. I will go turn of my itunes and go press those buttons right now. I have that joy division tune. I think it was on your recommendation. I like it very much. The Editors song reminds me of David Bowie re: the singers accent, but def. 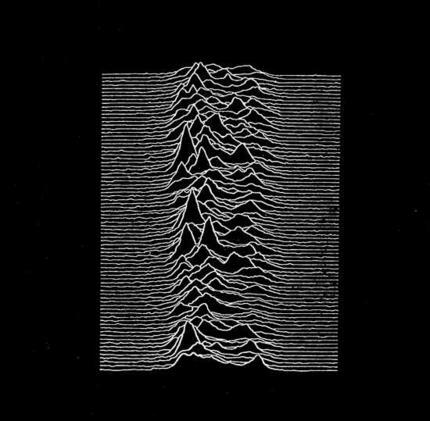 Joy division influences. Yeah, Jeremy from the Hour let me know about the Blog Tracker. I was thrilled. You just can't beat JD! Oh come'on Will! How can you live without the bluegrass covers of Van Halen songs? You know you want it! I'm glad you got it all figured out BW. I don't hear the Bowie thing though, to me he does invoke Ian Curtis a fair bit. But everyone's ear is different.